There is a Constitutional Election in Texas on November 8th, 2011. Early Voting has already started and goes until November 4th, 2011! Click Here to see the description of the 10 propositions on the ballot and also to see the Conservative Republican recommendations of how to vote. EARLY VOTING by personal appearance will be conducted each weekday in the Hardin County Courthouse Dome between the hours of 8:00 a.m. and 5:00 p.m. beginning on Monday,October 24, 2011, and ending on Friday, November 4, 2011. Also vote Early Vote on Saturday October 29th, 2011 at the Hardin County Courthouse from 9am-4pm. He travels the nation going into black communities asking black people what their values are. He surprises these black people when he shows them that their values actually line up with the conservative values of the Republican Party and not the Democrat Party. I wish that more people would vote based on values instead of race. If they did then most African Americans and Hispanics would vote Republican because most Hispanics and African Americans hold conservative values, not liberal Democrat values. 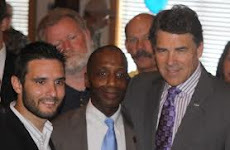 Apostle Claver spoke at a Houston Tea Party event on Wednesday, October 26th, 2011. Below are some of the comments that Claver Made, according to the Daily Caller. Claver explained to The Daily Caller that his charges originate not only from the Democratic Party’s history, but also from its policy preferences to date — specifically on abortion and welfare. “Today in America, on this Thursday, 1,800 African Americans are going to be aborted in the womb. Today!” Claver told TheDC. “Since Roe vs Wade in 1973 it is estimated that 20 million African American babies have been aborted. And going forward into the next quarter century, African Americans will be the only demographic of color that will not increase as a percentage of the overall American population. Claver added that Great Society programs have put a drain on the economy, disproportionately hurting African Americans. Isn't it funny how The Left's media goons pick and choose how and when they decide to attack the Patriots? As many of you know, Tamron Hall, Martin Bashir and Chris Matthews of MSDNC (oh, excuse me, MSNBC), decided to take a one-sided view of my comments at the Clear Party Tea Party event on this past Tuesday. Within my speech, I leveled my familiar charges that the Democratic Party is the party of racism. MSDNC didn't take very kindly to that. However, the "lame-stream" journalist of MSDNC, have not made a single attempt to contact ME to get my views of the indictment. Instead, they have turned to their predictable cast of socialist characters to give their spin on my comments. Even, TODAY, Bashir addressed my speech once again! It's been a full 48 hours since they brought my speech to the attention of their viewers, and they have not submitted an invitation to RagingElephants.org to appear on the network. Don't you think it's time to INSIST that these propagandist allow their target to have a say on their shows? 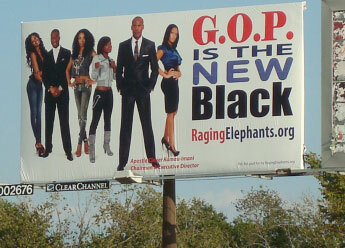 Don't you agree that it's time for "The Herd" to show how powerful we really are? Here's our plan of action: STAMPEDE! MSDNC. Below is the contact info for each of the anchors on MSDNC that have made an issue of my Tea Party speech. You have the "green light" to begin logging on to Facebook, Twitter, and their professional email to DEMAND that an opportunity be offered to me and RagingElephants.org to answer their attacks. Put on the pressure until they relent. Let's see how long it takes. Funniest Video of the Year! 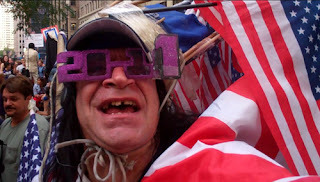 Occupy Wall Street Nutjob Says He will Run for President. Watch this Hilarious Video Clip! WARNING: Do not drink anything when you watch this 20 second video clip. You will laugh out loud and your drink will spew everywhere! Texas GOP Vote is following the protests and is posting videos of the protests on their website. They have recorded the most hilarious Occupy Wall Street video I have ever seen. Pass this email on so your friends can get a great laugh! You know I never understood why rapper Sean “P Diddy” Combs started up a movement called “Vote or Die.” Was he going to kill you if you didn’t vote, or were you just going to die spontaneously? Anyways, you are not going to “Die” if you do not vote in the upcoming Texas Constitutional Amendment Election, but it is still important for you to vote. Texas Constitutional Elections do not get much publicity. No one is on the ballot. We are not voting for President or a Congressman. Who cares right? Constitutional Amendment Elections are actually VERY important. We are CHANGING the Texas Constitution! This year’s Constitutional Amendment Election is on Tuesday November 8th, 2011. Early voting starts today Monday October 24th, 2011 and early voting ends November 4th, 2011. There are 10 propositions on the ballot this year. Below is a list and explanation (from the Texas Secretary of State website) of the propositions that you will see on the ballot when you go to your polling location to vote. Also, below you will find an awesome graph from Parker County Blog. As you can see from the graph, the conservative organizations in Texas are AGAINST most of the propositions on the ballot. Proposition 1 is the only proposition that most conservative organizations are in favor of. Proposition 10 has a pretty neutral recommendation so that one is a tossup. The rest of the propositions are generally seen as bad propositions by the majority of the conservative organizations. SJR 14 would amend the constitution to authorize the legislature to provide the surviving spouse of a 100 percent or totally disabled veteran with an exemption from ad valorem taxation of all or part of the market value of the surviving spouse’s residence homestead as long as the surviving spouse has not remarried, the property was the residence homestead of the surviving spouse when the qualifying veteran died, and the property remains the residence homestead of the surviving spouse. The proposed amendment would appear on the ballot as follows: "The constitutional amendment authorizing the legislature to provide for an exemption from ad valorem taxation of all or part of the market value of the residence homestead of the surviving spouse of a 100 percent or totally disabled veteran." SJR 4 would amend the constitution to authorize the Texas Water Development Board to issue additional general obligation bonds on a continuing basis for one or more accounts of the Texas Water Development Fund II, with the restriction that the total amount of bonds outstanding at any time does not exceed $6 billion. SJR 50 would amend the constitution to authorize the Texas Higher Education Coordinating Board or its successors to issue and sell general obligation bonds on a continuing basis for the purpose of financing educational loans for students, subject to certain constitutional restrictions, including a restriction as to the maximum principal amount of bonds outstanding at any one time. HJR 63 would amend the constitution to authorize the legislature to permit a county to issue bonds or notes to finance the development or redevelopment of an unproductive, underdeveloped, or blighted area within the county, and to pledge increases in ad valorem tax revenues imposed on property in the area by the county for repayment of such bonds or notes. The amendment does not provide independent authority for increasing ad valorem tax rates. The proposed amendment would appear on the ballot as follows: "The constitutional amendment authorizing the legislature to permit a county to issue bonds or notes to finance the development or redevelopment of an unproductive, underdeveloped, or blighted area and to pledge for repayment of the bonds or notes increases in ad valorem taxes imposed by the county on property in the area. The amendment does not provide authority for increasing ad valorem tax rates." SJR 26 would amend the constitution to authorize the legislature to allow cities and counties to enter into interlocal contracts with other cities and counties without having to assess an ad valorem tax and set aside a specified amount of funds for the payment of costs under the interlocal contract. The proposed amendment would appear on the ballot as follows: "The constitutional amendment authorizing the legislature to allow cities or counties to enter into interlocal contracts with other cities or counties without the imposition of a tax or the provision of a sinking fund." HJR 109 would amend the constitution to increase the amount of principal that is available for withdrawal from the permanent school fund each year and would also clarify certain references to that fund in the constitution. Increased access to the principal of the state public education trust fund would be based upon HJR 109 granting the authority to consider alternative market calculations when determining the amount of principal that is available for distribution to the available school fund. HJR 109 would also provide authority to distribute to the available school fund annual revenue from school fund land or other properties up to $300 million per year. The proposed amendment would appear on the ballot as follows: "The constitutional amendment clarifying references to the permanent school fund, allowing the General Land Office to distribute revenue from permanent school fund land or other properties to the available school fund to provide additional funding for public education, and providing for an increase in the market value of the permanent school fund for the purpose of allowing increased distributions from the available school fund." SJR 28 would amend the constitution by adding El Paso County to the list of counties authorized to create conservation and reclamation districts to develop parks and recreational facilities financed by taxes. The proposed amendment would appear on the ballot as follows: "The constitutional amendment authorizing the legislature to permit conservation and reclamation districts in El Paso County to issue bonds supported by ad valorem taxes to fund the development and maintenance of parks and recreational facilities." SJR 16 would amend the constitution by requiring the legislature to provide for taxation of open space land devoted to water stewardship purposes on the basis of its productive capacity. The proposed amendment would appear on the ballot as follows: "The constitutional amendment providing for the appraisal for ad valorem tax purposes of open-space land devoted to water-stewardship purposes on the basis of its productive capacity." SJR 9 would amend the constitution to authorize the governor, on the written recommendation and advice of the Board of Pardons and Paroles, to grant a pardon, reprieve, or commutation of punishment to a person who successfully completes a term of deferred adjudication community supervision. The proposed amendment would appear on the ballot as follows: "The constitutional amendment authorizing the governor to grant a pardon to a person who successfully completes a term of deferred adjudication community supervision." SJR 37 would amend the constitution by extending the length of the unexpired term that causes the automatic resignation of certain local elected officeholders if they announce candidacy or become candidates for another office from one year to one year and 30 days. The proposed amendment would appear on the ballot as follows: "The constitutional amendment to change the length of the unexpired term that causes the automatic resignation of certain elected county or district officeholders if they become candidates for another office. Hundreds of people (State Reps, SREC members, County Chairmen) have already taken the Poll about the Legislative Priorities Report. If you have not taken the poll yet then CLICK HERE to take the poll and let your voice be heard! In an email sent on 10/10/11 from the Republican Party of Texas titled “Scheduling reminder and Notes from last week's Leadership Call,” there was some incorrect information that was put out regarding the Legislative Priorities Report. I am sure this was not intentional, but I believe it is important that the information be corrected so I am sending out this email. This is not an official email from the RPT. This email and its contents are from David Bellow SREC SD3. The email sent from the RPT stated that there is no debate that the Legislative Priorities Report violates the Rules and Bylaws. That is incorrect. There is plenty of debate within the SREC and the RPT. In fact, The SREC, at the last meeting, decided unanimously to have an ad hoc committee look into whether or not the Legislative Priorities Report would violate the bylaws or not. The EXACT WORDING of what was passed unanimously by the SREC is “Recommend a special ad hoc committee be authorized to make a report to the Rules Committee on whether the relevant platform plank conflicts with the bylaws or other rules of the Republican Party of Texas” and then based on their findings they will make recommendations. So why would the SREC UNANIMOUSLY approve a Committee to DETERMINE IF THE LEGISLATIVE PRIORITIES REPORT WOULD VIOLATE AND BYLAWS if there is No Debate about whether or not the Report violates the Bylaws? Obviously there is plenty of debate about whether or not the report violates the bylaws and that is why we approved a committee to look into whether or not this report actually violates the bylaws. Also, the RPT email referenced this Report as a “scorecard” and that is also Incorrect. The Texas Republican Platform never calls this Report a scorecard. It is NOT a scorecard. Scorecard makes it sound like this report will rank the legislators. That is incorrect. This report will not have any scores and will not judge any officials. The report will ONLY be a list of votes related to Republican Party Platform Values and how each Official voted. Each legislator’s constituents can make their own determinations of how their legislator is doing. By publishing this Report, the RPT is not getting involved in Intra-Party contests and the RPT is simply promoting the Republican Party Values and following the wishes of the Republicans in Texas (our constituents). That is what we on the SREC are elected to do. Is some of the Opposition to the Report about Money? At a State Republican Executive Committee meeting last year, the SREC was voting on a resolution that called for the Texas House Republicans to join together and vote for a Republican Speaker of the House instead of letting the Democrats decide who the next Speaker will be. Who in the Republican Party would be against a Resolution that calls for Republicans to pick the next Speaker instead of the Democrats? Surprisingly, before we were going to vote, it was brought up that a State Legislator was threatening to take back $25,000 he had given to the Party if the Party voted in favor of this resolution. That incident really opened my eyes. I suspect that is what is going on here with the legislative priorities report. The Republican Party of Texas does not get much money from Republicans in Texas and that has resulted in some in the RPT and on the SREC being too nice and non-controversial in order to make the big donors happy. It is true that the party should be focused on raising money for Republicans and Chairman Steve Munisteri has done a GREAT job of that. It is also good to cut back on controversy. BUT we should raise money because people believe in our values and we SHOULD NOT raise money from people who only want to give money with the demand that we change our values. We should never stop standing for Republican values just to get more money. This problem could certainly be helped if Republicans in Texas donated money to the RPT so that the RPT did not rely on a few big donors. Republicans in Texas can help fund the RPT and donate easily to the Party by joining the Grassroots Club for only $8.25 per month. It is easy and will help the party not rely on big donors as much. We give so much to National political Races and we forget about our own Texas Base. Also, don’t get me wrong, there are MANY big donors who do not have strings attached to their money and those donors have really helped the RPT and we appreciate those individuals. Many Republicans are very angry with members of the SREC who are opposed to this Report. It is understandable that Republicans are angry over the RPT’s resistance to following the wishes of Texas Republicans as stated in the Republican Platform. I believe those SREC members are WRONG for opposing this Report, BUT they are not necessarily RINOs or moderates. Some of them are very conservative and they just don’t want the Republican Party to do the report for one strange reason or another. Some think it would just be too much work and others think it would just cause too much distraction. They are wrong for opposing the report and opposing the wishes of the Republican Delegates who elected them, but they are not necessarily RINO’s. Emails to SREC members should explain the importance of standing up for Republican values and explain that they will be going against their constituents if they vote against this Report. Emails that just call someone a RINO will just cause the email to be deleted without it being read. I am not mad at anyone and I have no problem working with anyone on the SREC. At the same time, I will always stand up for what I believe and I have no problem telling someone if I think they are wrong on a particular issue. The bottom line is that SREC members will face our constituents at the next State Convention and will have to answer for the decisions they made on the SREC. I believe that all Republican Delegates (the boss) should tell the SREC (the employees) how they feel and what they think the SREC should do. Then, based on how the SREC members vote on the SREC, the Republican Delegates should vote for the same SREC member or for a new SREC member. We are not entitled to be on the SREC. We are elected to serve the people and if we are not doing that then the people should kick us out. What is the Job of the State Republican Executive Committee? That SREC job description makes it pretty clear that we should publish a report. The bylaws tell us that we are to follow the wishes of the last state convention and also promote Republican values in the Platform. The last biennial state convention asked us to publish a Legislative Priorities Report so that Legislators will be encouraged to vote for Republican Values Bills. The SREC should do our job and we should release a Legislative Priorities Report, or change the rules so that we can. Whether or not this report violates the Bylaws is based purely on OPINION and INTERPRETATION because the Bylaws are very vague and non-specific. My opinion, as well as many others, is that the Report does not violate the Bylaws. The Bylaws say that the SREC will not use any party resources to directly or indirectly influence an election between republicans. That is VERY vague, but the intent of that bylaw was to prevent the RPT from intentionally doing things like giving money, phones, volunteers, etc. to one Republican and not another Republican in a Primary election. It was not meant to prevent the RPT from following the Platform by publishing a simple, non-biased list of votes relating to Republican values. If publishing this list is against the bylaws because it “could” be considered as getting involved in a primary election, then the RPT should just close its doors because EVERYTHING the RPT does could be considered as getting involved in Primary Contests. The RPT allows Republicans to use Voter Vault. Voter Vault is used by Republicans in primary races. Should we stop Voter Vault? The RPT allows candidates to get name recognition and to speak at SREC meetings by sponsoring the meeting (giving a donation). That “could” be considered as giving an unfair advantage to one candidate over another candidate who might not have money to sponsor an SREC meeting. The RPT supports the new maps in redistricting. This new map puts very conservative legislators in east Texas in the same district so that they have to run against each other. Does support for these new maps constitute approval of kicking out conservative legislators in East Texas? The list goes on and on, but my point is that if this Report is considered as the RPT getting involved in primary elections then, based on that same standard, pretty much anything the RPT does “could” be considered as getting involved in primary election. Also, just because a legislator votes against something in the Republican Party Platform does not mean it will even be negative for that legislator. Chances are that if a legislator voted against something in the Platform, that legislator probably did it because they were following the wishes of their constituents on that particular issue and it will not hurt them in a re-election. But that is up to the constituents to decide. No Republican is perfect and not everyone agrees on everything 100% of the time. But still. Republicans should know how their representative votes in regard to the Republican values. Those constituents can ask questions and make their own judgments of the job that their legislator did. We just need to publish a report this year and then at the next Convention we can correct and problems or issues regarding publishing a Legislative Priorities Report, or the delegates could even remove it from the Platform if they want to. They can decide next year what they want to do, but until then, we should follow the wishes of the last convention’s delegates and publish a report this year. Thank you Wayne Christian for trying to uphold the desire of the Republicans in Texas by giving the SREC a draft Report. You have taken a lot of criticism from people who do not want to the Report, but the fact is that the Republicans in Texas voted to have this report and it was not just you who wanted this Report in the platform. You even got YCT to do the Report so that people would not think you were being biased against any other legislators. You did what you could. Now it is up to the SREC to finish the Report and add/make changes to the Report. Then we need to publish it. The SREC is supposed to create policies subject to the direction of the State Convention. The Republicans at the State Convention voted overwhelmingly in support of this Legislative Priorities Report. If the Ad Hoc Committee determines that this Report violates the Bylaws (which I think they will) then the SREC should follow the direction of the State Convention and simply change policy to allow for the Legislative Priorities Report. The Next SREC meeting is December 4th 2011. This meeting will be the meeting that we vote for or against changing the Bylaws to specifically allow us to publish a Legislative Priorities Report. We will finally get an up or down vote and be able to see how many SREC members are for the report and how many are against the report. The Republican Party is about a set of values and people who prescribe to those values. Not the other way around. Numbers mean nothing if we do not stand for our values. I believe if we are honest to the people and stand for what we believe then the people will come. They will come because they believe in our conservative, family, moral values. What Do You Think? Take the Survey! HUNDREDS of people have taken this survey, including SREC members, County Chairmen, Tea Party Chairmen, and even State Representatives. So far, out of hundreds of responses, only 5 people have voted against publishing a report and only 10 people said that this report would violate the bylaws. This Survey was sent to all SREC members and all County Chairmen so it is fair to say that the survey is unbiased. In other words I did not just sent the survey to people for the Report. I sent the survey to everyone including anyone who might be against the Report. Take this Legislative Priorities Survey! The more responses and ideas the better! Also, Please PASS THIS SURVEY ON to all Republicans in Texas and I will email the results to the SREC and the Republican Party of Texas. This is not an official SREC survey. I am a member of the SREC and will be voting on this issue and debating the issue in the SREC. I want to make sure that the SREC knows what YOU think. So take the survey and pass it on! We need to hear what all sides have to say on this issue. Whether or not you are for or against this report, take the survey and tell us what you think! The Blaze has reported that a Teacher in McAllen, TX made her class memorize and recite the Mexican Pledge and Mexican National Anthem. This is WAY out of line. Learning ABOUT another language and learning another culture is not a bad thing, but making students memorize and recite the pledge to the Mexican Flag has no place in an American Classroom. This reminds me of the Lumberton, TX School teacher who chastised her students for watching Fox News instead of CNN. Also, just recently in Texas a student in Fort Worth ISD was suspended for his religious belief that homosexuality is wrong. Schools are becoming a dangerous place for students because of the Liberal indoctrination they are getting. Whatever happened to just teaching math and science? Now kids in Texas have to be chastised for believing in conservative values. Thankfully, we have a conservative State Board of Education. The Washington Times recently wrote an article that referenced how the Texas SBOE fought back against liberals who wanted to erase American History and indoctrinate Texas Students with Liberal Ideas. Here is a paragraph from that article: In Texas, the state textbook committee in 2010 angered liberals by rejecting a review panel’s recommendations to kick out Christmas and Independence Day and ignore such famous Americans as Thomas Edison, Albert Einstein and Neil Armstrong. Texas, the largest purchaser of textbooks after California, has been a thorn in liberals’ sides since 1961, when the late Mel and Norma Gabler began exposing errors and bias. Famous example: One history book had six pages on Marilyn Monroe and only a brief mention of George Washington. The Gablers helped pave the way for the West Virginia revolt in 1974, and they spoke there during the protests. I certainly hope we can hold on to the conservative majority on the Texas State Board of Education after Republican, Hispanic Charlie Garza had his district re-drawn to make it harder for him to get re-elected. There is nothing wrong with people from Mexico legally coming over to America. I have many Hispanic friends, like Republican Hispanic Adryana Boyne, and also some of my mother's sisters are married to Hispanics. It is even just fine for people to remember their heritage back in Mexico or wherever they came from. So don't get me wrong because I am not criticizing Hispanics. What I am saying is that it is NOT ok when people want to come to America but not want to be an American. It is NOT ok for people wanting to come to America and not want to recite the American Pledge or fly the American Flag. Diversity is great, but this is America and if someone does not want to be an American then that is not good for them or for America. We cannot even fly the American flag or say the American Pledge in many places in America because it might "offend" someone and yet there are too many stories like this one where it is ok to make kids recite the Mexican Pledge. There is nothing wrong with knowing another language in America, but in order for America to be strong, we need to have a common language. When non English speaking students go to Schools in Texas, they need to be taught to learn English as a priority instead of being taught their classes in Spanish and graduating without learning how to speak English. This is for THEIR BENEFIT as much as it is for the benefit of America. It will help them better assimilate into America and go on to reach their goals and dreams. Spanish speaking students actually perform and learn better when they are taught English instead of being taught their classes in Spanish. Fiscally speaking, Donna Garner recently wrote an article showing that it is actually much more expensive ($200-$400 more per student per year) for Texas Schools to pay for Students to be in a bilingual class than to pay for students to learn English. The Texas Department of Public Safety has issued a public warning. Drug Cartels are recruiting Texas kids to join their violent gangs and to traffic drugs and even be beaten to death. Fox News posted up this story today. The story was originally reported on MyFoxHouston. Children have been found beaten to death by these Drug Cartels. This past year, in JUST ONE TEXAS COUNTY, 25 Texas Kids were arrested for drug trafficking. Just last month, 2 Texas teens were kidnapped, beaten and ransomed. When will the Obama Administration open up their eyes? The Border is NOT SAFE. Tens of thousands are being killed by these Drug Cartels and many of those murders are happening right here in America by the drug cartels and gangs that have set up shop right here on our own soil. Battles rage just feet from the Texas Border and entire towns are getting killed off. Earlier this year I posted this article with a video and pictures of a massive Drug Cartel Battle in Mexico. This battle was witnessed by thousands of people on the Texas Side of the Border. President Obama, Send More Troops to the Border! We need more than a moat with alligators. Lumberton, TX lost a Hero. PFC David Drake, 21 Years Old, was killed in Action fighting in Afghanistan. He received a Heroes welcome when his casket was flown back to southeast Texas. The streets were lined with people and the Patriot Guard Riders accompanied the hearse as it made a loop through Beaumont and Lumberton. I specifically wanted to thank Lumberton ISD for allowing Lumberton Schools to release the students from school to go stand along the road as the casket with fallen soldier David Drake passed by. Texas Railroad Commissioner Barry Smitherman spoke at the State Republican Executive Meeting in Austin, TX on October 1st, 2011. Obama’s New EPA Rules will cause Texas to shut down power plants, which will mean that homes could go without power (Lights and even Air Conditioning) in the middle of next year’s 2012 Texas Summer heat. Texas is fighting tooth and nail to stop this rule form going into effect. Barry Smitherman is fighting too and he is part of every lawsuit that Texas has against the EPA. Smitherman says that the EPA could not get Cap and Trade passed though the United States Congress so the EPA is trying to do it on its own without going through Congress. Smitherman was right, and even though Cap and Trade did not pass, Texans will still pay a huge price if the EPA bullies their way into controlling the affairs of Texas through backdoor channels. Specifically, if the EPA has its way, Texas will be forced to shut down many power plants which will cause a shortage of energy. This could be deadly in the Texas Summer heat for the sick and elderly. 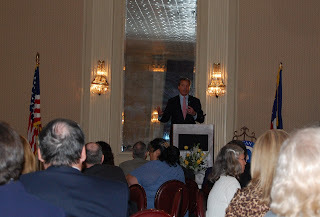 On September 30th, 2011, the Republican Party of Texas and the State Republican Executive Committee (SREC) honored the Texas Republican Volunteers of the Year at a special dinner held at the Austin Club in Austin, TX. The Volunteers of the Year were each given a special gift (an Official State of Texas Gavel) and each of them got to go up to the front of the room to be recognized, as they so justly deserve. 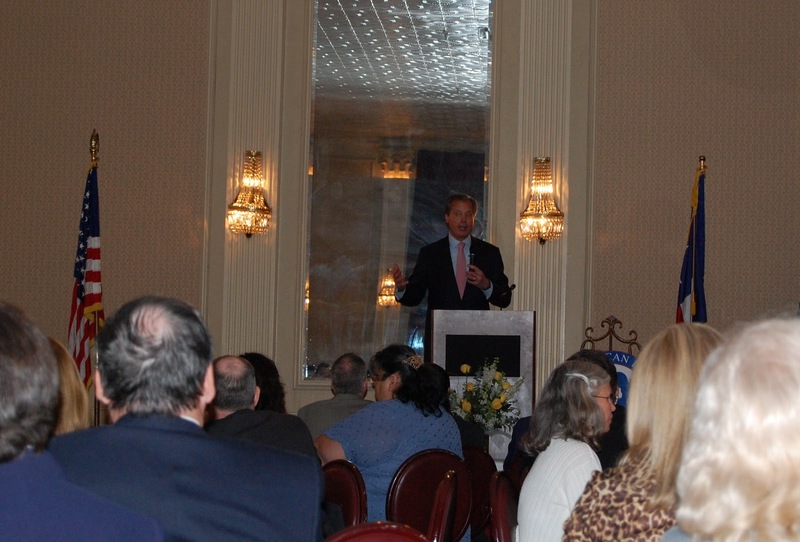 There were MANY elected officials who attended the dinner and the dinner was made possible by gracious donations from Republican officials in Texas. 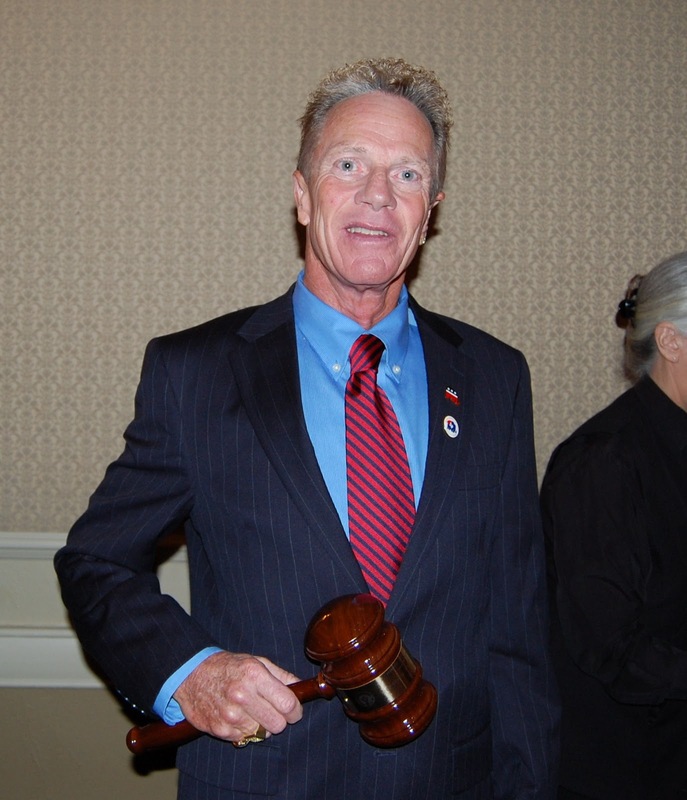 The Republican Party of Texas picked 31 of the best Republican Volunteers in Texas. We picked one from each State Senate District in Texas. There are MANY great volunteers so it was difficult picking just 31 in the whole state. Some of these Volunteers of the Year literally spend the entire election year working over 40 hours a week every single week. It was a full time job except they did it for free! Of course, there are MANY other wonderful Republican Volunteers here in Texas and we are very grateful for every single one of you no matter how many hours you worked. Below is the entire list of the Volunteers of the Year, including which State Senate District they belong to. If you recognize one of these names please tell them thanks next time you see them!